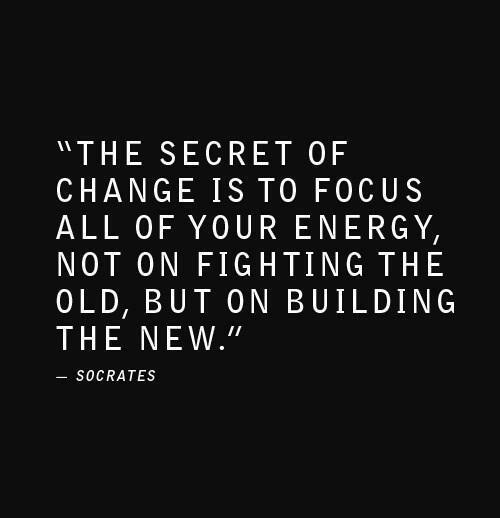 Everyday is a new opportunity to change your focus and build something new for yourself. This could be in regards to your family, career, or health fitness. Everyday, I have a "To Do" list and on that list I organize my day by priority. My workouts are a non-negotiable "Must Do" everyday. Because I look forward to my workouts, today, I forced myself to get through an editorial deadline before I let myself go to the gym. Each new day is an opportunity to build the foundation of what you want your tomorrow to look like, the simple law of reaping and sewing. If I want to be able to climb to the tops of mountains day after day without muscle fatigue and soreness, I have to train for it. Building the muscle and endurance that is needed to accomplish my goal takes a measured amount of time and commitment on my part. What OLD habits or behaviors in your life do you need to quit fighting? Write them down and tomorrow when you wake up don't do anything on that list. Instead, develop a new "To Do" list that you can focus on and put your energy into so that your dreams may come true in your future. Yesterday, I wrote about how un-coordinated I feel in crossfit. The first time that I attempted the "Turkish Get Up" I just about required a helmet because I was so clumsy that I felt like I could nearly damage my skull by smashing my face with the kettle bell. Tonight, I was far from graceful in the movement, but I had improved on my ability to complete the movement with less struggle and slightly better coordination than the first time. The improvement made me happy.